Share the post "High Probability Trading Book"
Are you prepared to spend 2-5 years learning the successful art of trading? After those 2-5 years of diligent work and patience, are you ready to be losing on 50% of your trades? That is what the path to successful trading looks like to those that have travelled the rocky road of trading, like Marcel Link, who wrote the highly acclaimed High Probability Trading Book. Marcel Link is a real trader trading real funds and has a simple, down to earth way of explaining it. New traders will benefit greatly from Marcel Links teachings. Older, wiser traders can pick up the many nuggets of gold he sprinkles throughout his book. With hundreds of trading books hitting the bookshelves year after year, there are not many that stand the test of time and can be labelled ‘classics’. Marcel Link has delivered what many experienced traders have called a classic trading book, and it’s aptly titled High Probability Trading. Marcel Link’s writing style is clear, and he includes many amusing and educational anecdotes traders can relate to. Many of these stories come from his early trading experiences as trading mentor’s assisted him along the way. High Probability Trading will enable you to be very clear on your trading edge before placing your next trade, ensuring the odds are in your favour. Further to this, trading doesn’t always go in our favour and its not so much the losses that cause the problem, but how we deal with them that moves us forward or drags us down. 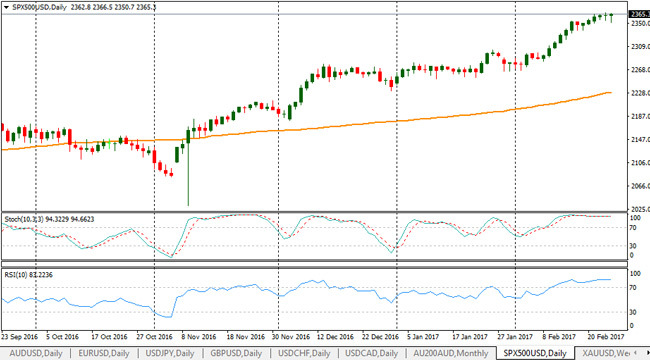 Do you love trading with Stochastics and RSI indicators? If you love trading with oscillators then you will love Marcel’s view on how to use them. In particular, if you apply the stochastics indicator to all your charts, then read Chapter 7. Marcel now only covers how to use oscillators successfully, but he covers six different ways to use the stochastic indicator. Then he offers 5 different ways to use and apply the RSI to your trading systems. Don’t get me wrong. He’s not suggesting you use both, as they are both looking at very similar information. You will notice in the chart above, both the RSI and stochastics have been applied, but they are almost identical in what they show. Marcel then finishes off Chapter 7 with how to use the MACD in your trading systems. He has another 5 ways to maximise the MACD when trading the markets. What stands Marcel out from many others is the depth of his understanding. You have absolutely no doubt Marcel has not only used these indicators, but applied them all in real time with real trading capital. Divergence is an extremely powerful signal. Divergence occurs when the market you are trading makes new highs but the oscillator (Stochastic or RSI) moves lower. You can see in the highlighted chart of the S&P500 index below. 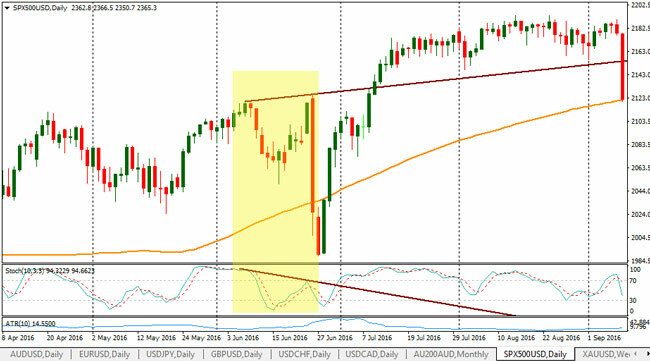 The S&P500 index made a higher high, but the stochastic indicator made a lower high. This is a bearish divergence. As I write this review, I just noticed a bullish divergence straight after the bearish divergence. You will notice the lower low on the chart but the stochastic made a higher low. There you have bullish divergence in action. Marcel Link has a whole section on trading with divergences. At the end of every chapter, Marcel highlights what it takes to become a better trader. He reviews how you can use the skills he just taught you in your trading strategy. Depending on what he is covering, he will outline the mistakes people make using those tools. Plus he will show you the high probability methods to use them or how to make the most out of the new skills. The smart way to review the book is to flick to the back of each chapter. Here you can review Marcel’s bullet point list of action items. For serious active traders (share traders, CFD traders, futures traders, Forex traders or options traders), High Probability Trading will need to be read at least once a year as you develop your trading skills. As you become a better trader, the book takes on a whole new feel, and you will gain so much more from reading it regularly. What you will find most refreshing about this book is the lack of hype and inflated promises of how rich you will become. Instead, Marcel Link documents what it takes to become a patient and consistently profitable trader. Add Marcel Link’s High Probability Trading to your trading bookshelf. Read it and most importantly implement the key strategies and mindsets that many winning traders display. Powerful Stock Chart Setups: Profiting from Technical Analysis and Bullish Patterns (Trading Strategies Book 1) By Charles G. Koonitz Synopsis. Middle-Class Millionaire: From $80K in Debt to $3M in Profits through Catalyst Trading By Kyle Dennis Synopsis Author Kyle Dennis. Mastering The Market Cycle: Getting the odds on your side By Howard Marks Synopsis With a wealth of experience behind.